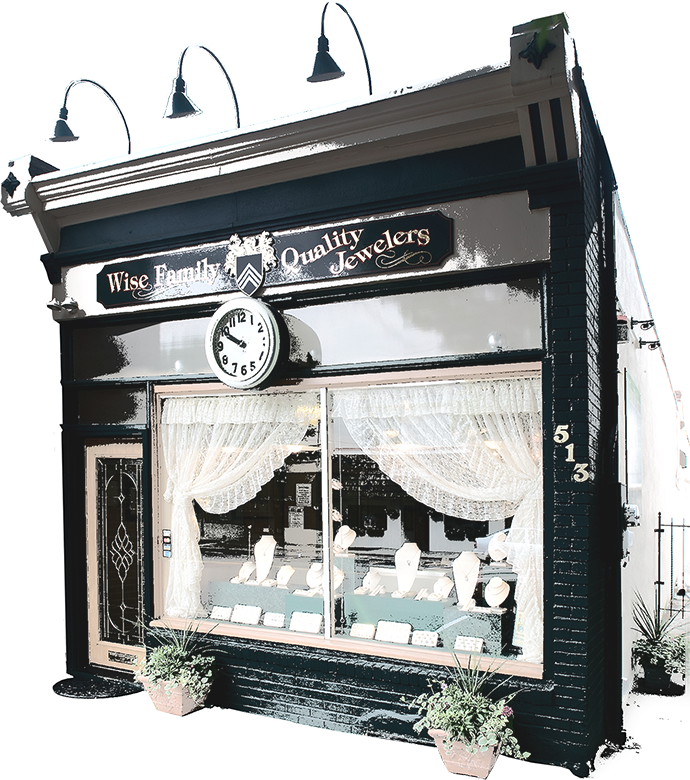 Wise Family Jewelers is your fine jewelry specialists located in Haddon Heights, NJ. 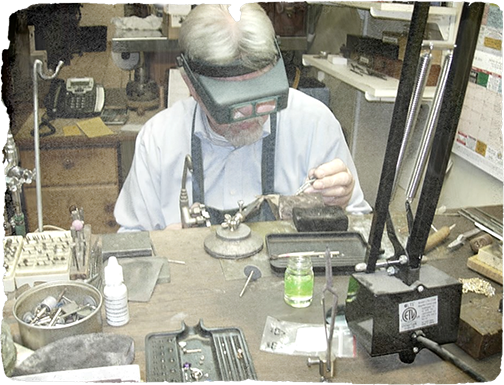 With a brilliant history, we have over five decades of diamond setting experience, fine quality hand engravings, and extensive experience in all precious metals. We take an old-school approach to our custom work, enabling us to provide a full-service shop in house. We have the experience and ability to translate an idea or desire into a completed piece with your satisfaction guaranteed. We have worked with everything from detailed plans and photos to doodles on a cocktail napkin. 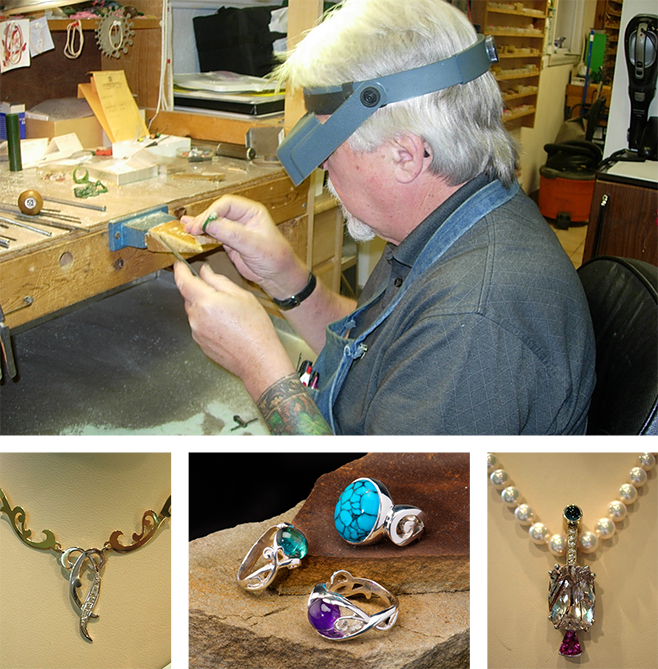 George, co-owner of Wise Family Jewelers, began his career in South Philadelphia in the late 1960’s. A strong desire to learn and improve his skills led to work in San Diego, Chicago, New York and the District of Columbia. 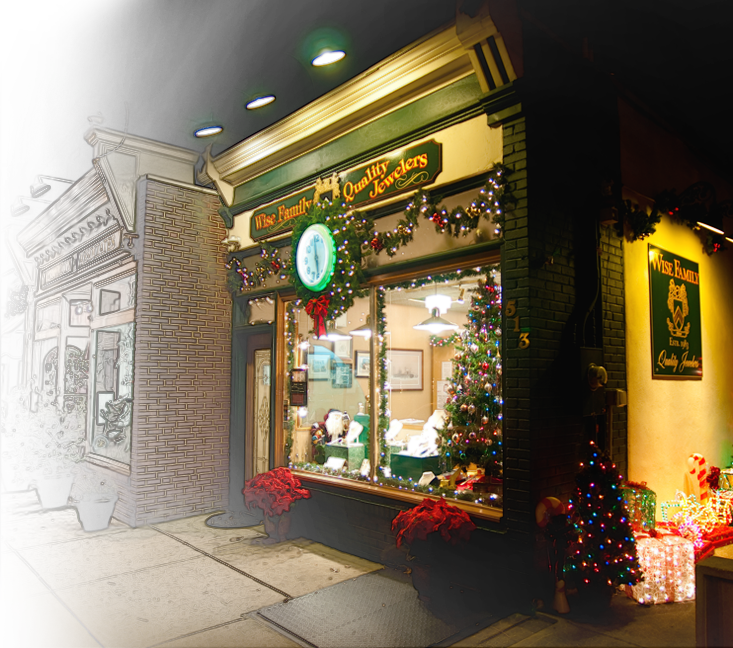 George and Melinda marry in September of 1983, come home from their honeymoon and open their first shop at 132 South Eight Street in the heart of "Jewelers Row" as special order jewelers to the trade. 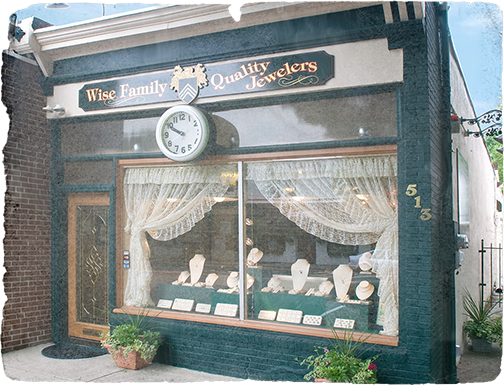 In 1987, Wise Family Jewelers opens their first retail shop at 519 Station Avenue in Haddon Heights, New Jersey. 1990 Wise Family Jewelers is hired by Gladden Studios in Hollywood to make necklaces for their major motion picture "Mannequin Two". 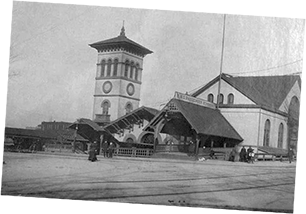 George and Melinda buy the property at 513 Station Avenue in Haddon Heights and continue to work there to this day along with their daughter Irene, a Graduate Gemologist from the Gemological Institute of America. The short answers are, it’s a screw press and yes we do use it. The long answers are far more interesting. Of all the vintage equipment that we own this is by far the largest but also the newest. 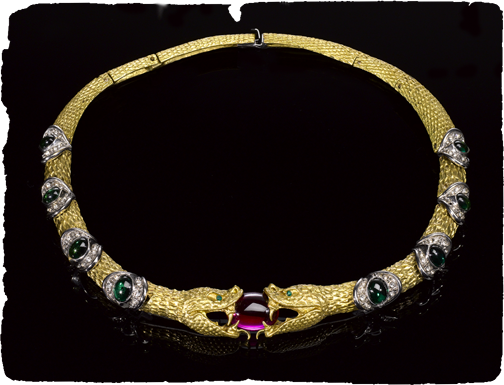 It was delivered to the I. Bedichimer Company in Philadelphia in 1921. 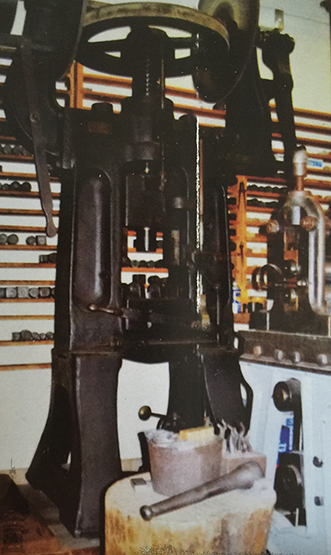 Some of our machinery dates to the mid 1860’s. All of it is still in use. 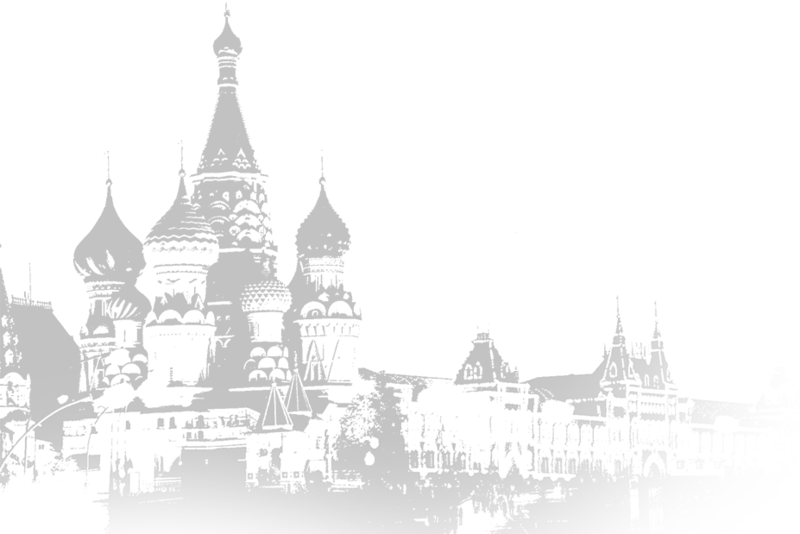 In 1860, Isaac Bedichimer emigrated from his native Russia. A fine jewelry mechanic, he brought with him a canvas bag and hand tools, a single hand press and his skill. 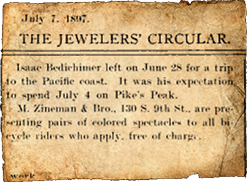 In time he managed to marry, raise a family and build a very strong, respected business in Masonic and Fraternal jewelry. 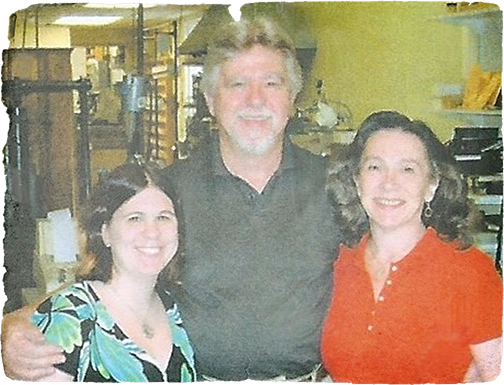 In the late 1970’s we became friends and apprenticed with the last owner of I. Bedichimer Company, Mr. Ross Sellers. He was without peer, a fine hand engraver, jeweler, enameler and machinist. He was extraordinarily generous with his time and knowledge. 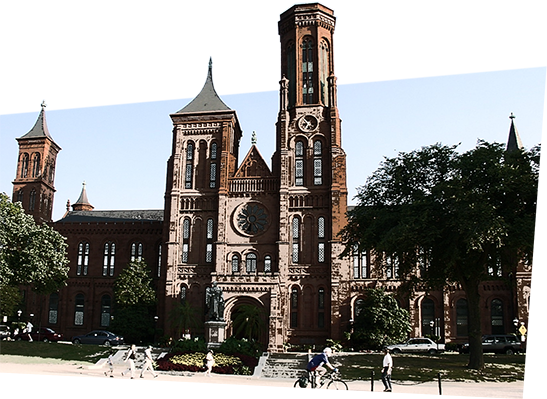 Prior to his imminent retirement he had been in collaboration with the Smithsonian Institute in Washington, D.C. The relative historic importance of this shop was known to them. Representatives from the Smithsonian kept several items which are, to this day, on permanent exhibit on the Mall. True to his word, whatever the Smithsonian did not take was ours to keep with the provision that we set it up in our new shop on Station Avenue and continue to use it in its intended form, and we have. Using the same materials, techniques and equipment we continue to make Masonic and Fraternal jewelry for many organizations in New Jersey, Pennsylvania, Maryland and Delaware. We are in possession of many rare dies and formulas to produce these exacting symbols of office. And of course, these same skills and dedication to a fine finished product are carried over to all the pieces that are produced in this shop. Use the form below to get in touch with us today and we will respond with any answers promptly. The Wise Family & and their corresponding website (wisefamilyjewelers.com) does not share information gathered to any third parties. Any information gathered on this site or through this site may be stored for quality assurance & future business opportunities.